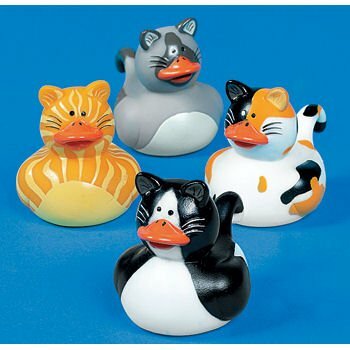 This set of 12 kittys makes great party favors or a great little gift for any cat or ducky lover. Each duck measures approximately 2-1/4"H x 2"W x 2-3/4"L. These do not squeak or float upright. They have holes in their mouths for squirting water.